For those of you who follow me on Twitter, Facebook, or Foursquare, you've probably noticed that I've been a bit *quiet* for a few days. I'm currently in Western Mass with family to mourn the passing of my grandmother Irene Fidalgo. Grandma's passing is bittersweet. Anyone who has experienced the loss associated with Alzheimer's or another form of dementia will understand the strange progression of the disease. The grandma I knew from my childhood has been gone for a long while now, though we would sometimes see glimpses of her in our nursing home visits through a gesture, a facial expression or a tone of voice that was familiar. It is comforting to know however, that the body that once housed such an indelible spirit is now at rest. She was a mother-hen in every sense of the word, and was incredibly proud of her children and grandchildren. She never missed an opportunity to show her pride in her family, and sing our praises. Grandma was old-school, always striving to be proper, she would be horrified if anyone left her home hungry. She made the best Thanksgiving stuffing in the world. She taught me to make bread, and not to cross my legs in church. She always had ice cream, and Hershey's kisses with almonds. Because of her mark on my food memory, I will continue to think of her when I enter the kitchen to make her recipes. When she first went into the nursing home, I inherited some of her cookware. A dozen plain loaf pans - nothing fancy but seasoned with years of Easter fular (Portuguese meat bread), muffin tins - from the summer she went berry picking and we ate our weight in blueberry muffins, and the giant lidded pot that was used to make the double-recipe of Thanksgiving stuffing, because I loved it so much. Oh, I'm so sorry! What a beautiful picture of you and your Gram. Please let me know if there is anything I can do or anything you need. You and your family are in my thoughts..
What a beautiful post Alicia! So well written and it brought tears to my eyes! So sorry for your loss but what a nice way to remember her! Tastes and scents can evoke such warm memories! I'm so sorry about your grandmother Alicia!! That's always a hard thing to deal with, but I loved reading this post and hopefully writing it helped you cope. You and your family are in my thoughts! Alicia, I am so, so sorry. As you know I recently lost my grandmother and she had deteriorated due to Alzheimer's as well. I completely understand, and I'm incredibly sorry for your loss. If you need anything at all, just let me know. Sending you a big hug! Sorry to hear about your grandmother. I know what you mean about a bittersweet passing, though. My grandmother passed away a few months ago and it was the same way. She was in pain the last month or so. At least she went naturally with family around, though. I hope you and your family are staying strong! Alicia - so sorry to hear about your loss. 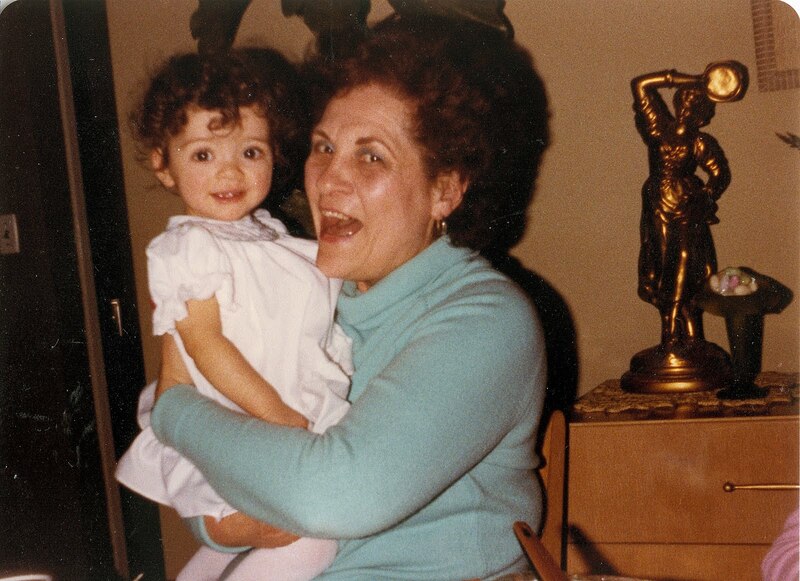 This blog post in your grandmother's honor is so touching. It sounds like she was an amazing woman. Alicia, I'm only reading this now but I wanted to express my condolences. Please let me know if there is anything I can do.